Many athletes complain of fatigue during their workouts – especially female endurance athletes. While factors like overtraining and stress can certainly contribute to fatigue, a common culprit is a lack of iron in the blood: a condition known as anemia. Jessica’s primary care provider diagnosed her with iron-deficiency anemia, one of the most common nutritional deficiencies in female athletes. Iron is a component of hemoglobin, a protein in blood that carries oxygen to all the cells in the body. That makes it pretty important. Without enough iron in your system, you can feel lethargic, irritable or have trouble concentrating. This lack of iron is what causes anemia. So, how does low iron in the blood happen? Athletes lose iron through sweat, when red blood cells are destroyed during the “foot strike” in running and through gastrointestinal bleeding, which is common during strenuous exercise because of minor damage to the stomach and lining of the intestines. Menstruation also contributes to iron loss. However, the number-one cause of low iron is insufficient intake. In other words, athletes don’t eat enough iron-rich foods to meet the demands of their active lifestyles. Our bodies don’t produce iron, so we have to get what we need through diet. There are two types of iron: heme iron and non-heme iron. Heme iron comes from animal products like liver, beef, poultry, lamb, pork or seafood. Of those, the richest sources are beef or chicken liver, shellfish and beef. Heme iron is the easiest for our bodies to absorb – 15-18% of the heme iron we consume is absorbed. Non-heme iron comes from plant-based foods like eggs, dried fruits, nuts, green vegetables, legumes, fortified cereals and grains. But, this type of iron is absorbed at a rate of about 5 percent, much lower than heme iron. What we eat with iron-rich foods can affect how well our bodies absorb it. For example, if we eat foods rich in vitamin C at the same time as plant-based foods, the non-heme iron can absorb at a rate four times normal. On the other hand, coffee or tea can hinder iron absorption because the beverages are high in tannins. Be sure to eat foods rich in vitamin C with your iron-rich meals to increase absorption. This is especially important if you’re a vegetarian. Based on her doctor’s orders, Jessica started eating lentil soup on a near-daily basis and increased her intake of red meat. Within a couple of months, she was back to feeling like her normal, energetic self. In fact, she ran a half-marathon just last week. Whether you’re an athlete or not, if you suspect you’re experiencing low iron or anemia, talk to your Providence primary care provider. He or she will answer your questions, evaluate your overall health and come up with a treatment plan catered specifically to you. 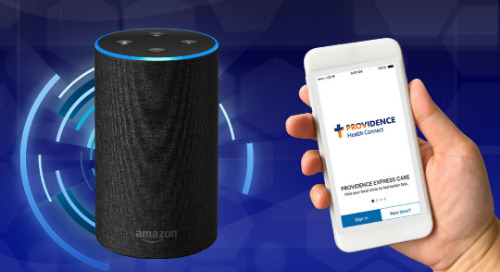 Use our online tools to find a Providence Medical Group clinic or provider near you.